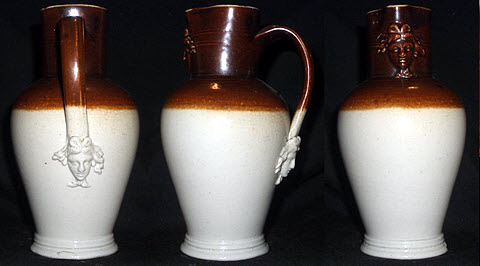 Many potteries appear to have produced these classically shaped jugs, usually with a face applied to the lip and handle. Stiff called the shape "Pompei" in their 1873 price list. 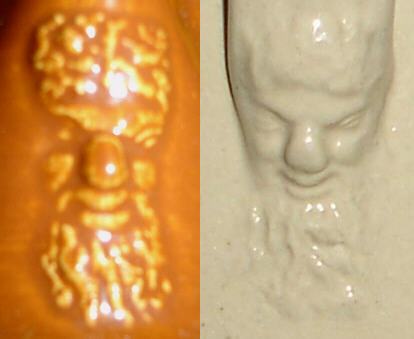 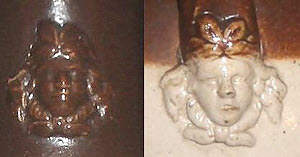 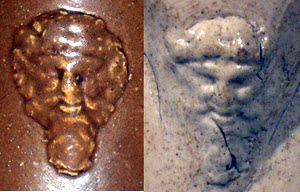 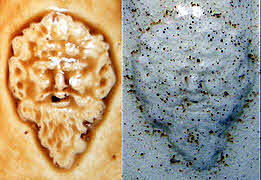 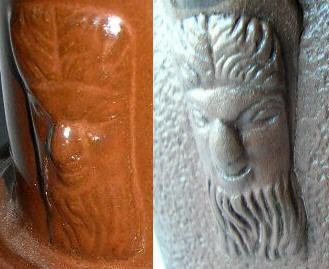 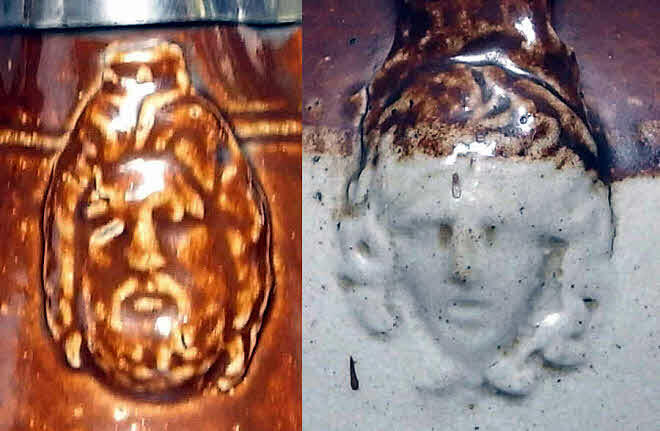 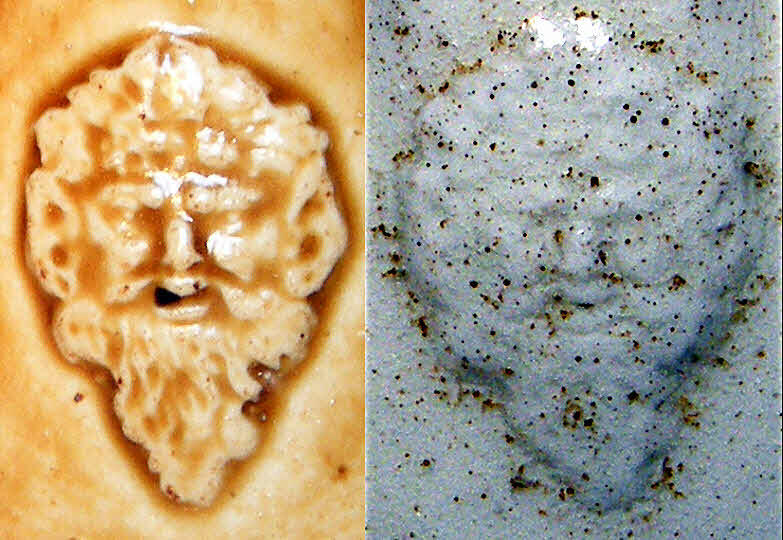 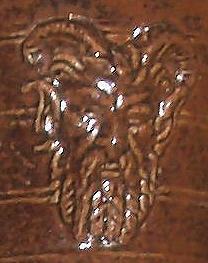 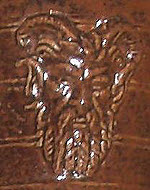 The same faces also appear on shaving mugs and possibly other items. 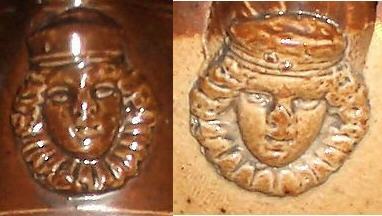 This page shows all those seen so far with attributions both confirmed and presumed. Note: Although Stiff offered their version in five sizes (half to four pints) I have seen no marked example. 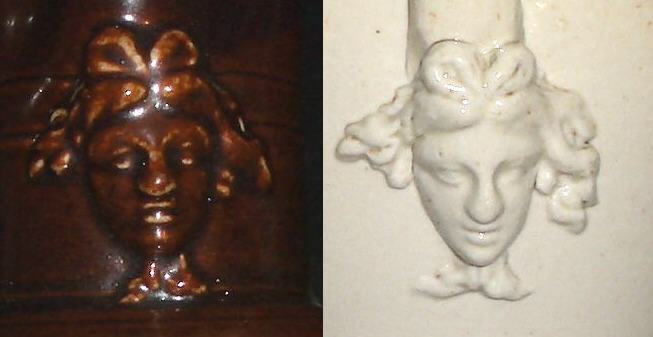 If you have one or indeed any other face not illustrated here I would be very pleased to hear of it.